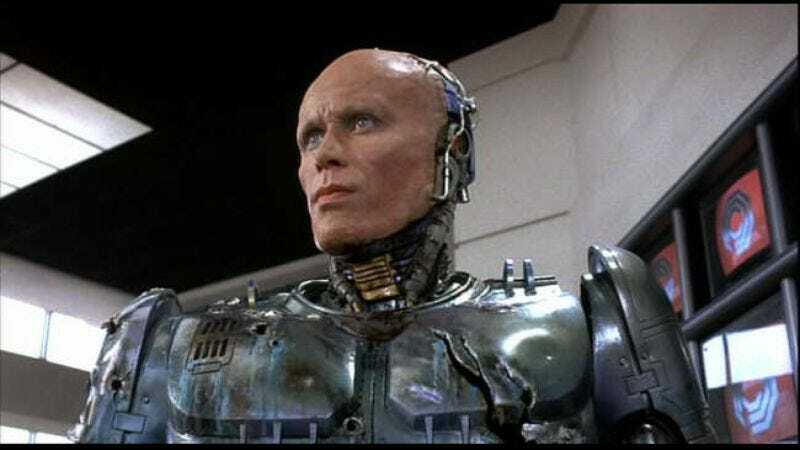 Encouraged by the public’s recent demand for a RoboCop statue, MGM has moved its long-proposed remake of the 1987 Paul Verhoeven film to the front of its crowded slate of long-proposed remakes. Deadline reports that Brazilian director Jose Padilha is currently in negotiations to take over a job that was once Darren Aronofsky’s before bankruptcy forced MGM to put a hold on all remakes, sequels, and whatever else it does these days, with Padilha reportedly impressing studio execs with the Portugese-language crime thriller Elite Squad and its recent sequel. (Padilha is perhaps best known in America for directing the hostage crisis documentary Bus 174.) Should he officially sign on, MGM will then draft a writer to retell the RoboCop story, and finally get rid of all those clunky old, anachronistic references to vaudeville crooners, Constantinople, and “those jaunty jalopies” that are preventing modern audiences from still enjoying the original.